In 1966 Yaesu Musen Company released their first HF transceiver. It was a complete compact base/mobile station, mainly of solid state construction. 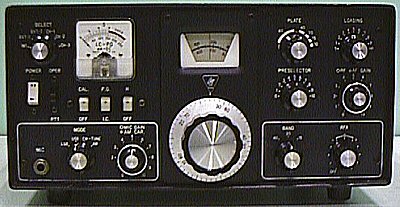 Known as the FT-100, it represented a quantum advance in technology for that time, particularly for the mobile ham radio operator. Now only the FT-100B and FTdx100 stood between this and Yaesu's most famous radio of all, the FT-101 which arrived in Australia in October 1970. With a built in 12 volt DC and 230 volt AC mains power supply, the FT-100 offered easy mobile or base SSB operation to the Australian radio ham. Mainly solid state circuitry kept both the size and power consumption down. Twenty-five germanium transistors and 32 diodes, as well as 3 valves, were used in the FT-100 SSB/AM/CW transceiver. Transmit power input was 150 watts, using 2 x 6JM6 compactron based valves. following Bail Electronic Services typical line of support for their Yaesu Musen products, very early after it's introduction they produced a Trouble Shooting Guide for the FT-100. The FT-100 Trouble Shooting Guide is shown HERE in its entirety. 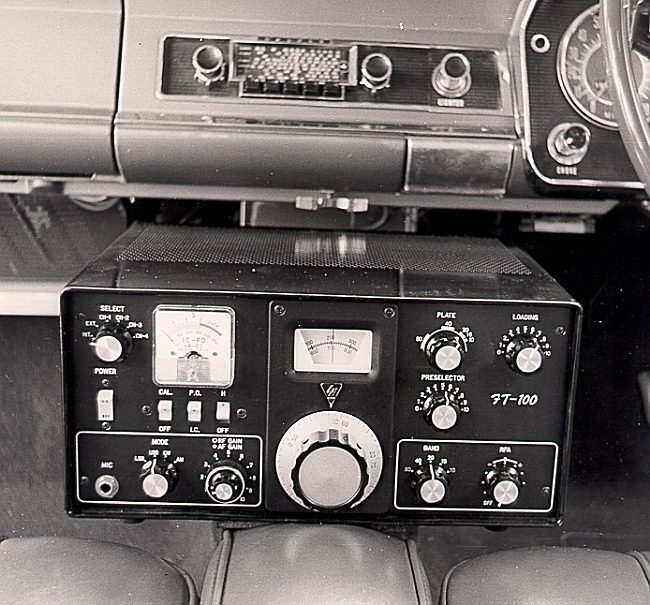 Shown below is one of the first FT-100's brought to Australia by Bail Electronic Services in 1966, it is mounted in an Australian General Motors Holden Premier car, model HD vehicle of the same year. 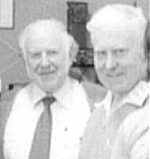 The vehicle is that of Bail's then New South Wales representative, Sandy Brucesmith who operated Mosman Radio Services and was Bail's first interstate distributor of Yaesu products. Below, the same FT-100 as shown above, however this time it is mounted in Fred Bail's own 1959 model 190D diesel Mercedes Benz sedan. 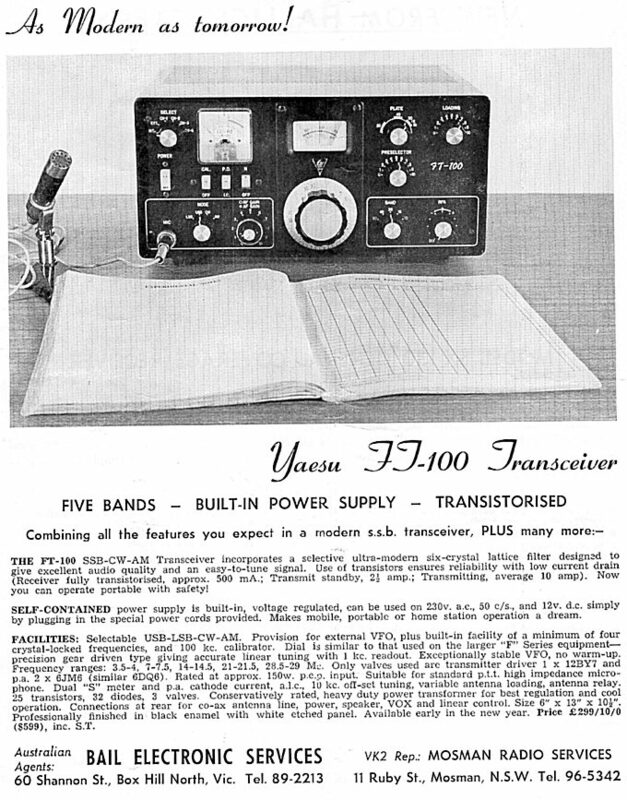 In the December 1966 issue of the Wireless Institute of Australia's 'Amateur Radio' magazine, Bail Electronics Services placed the following advertisement for their new Yaesu Musen Co. FT-100 solid state HF SSB Transceiver. Note the price being shown in both Pounds and Dollars, at that time Australia was in the process of changing to decimal currency. A Mark 2 version of the FT-100 soon followed the original FT-100, after which Yaesu produced their FT-100B. At right is pictured a Mark 2 FT-100. The most obvious difference between it and the original is an additional front panel control. 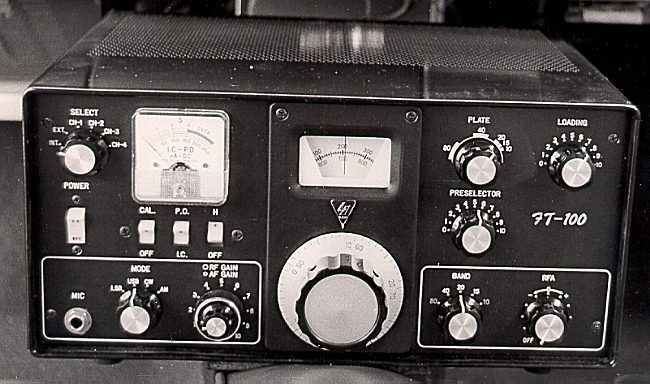 The concentric RF/AF Gain control on the Mark 1 was moved to the centre left of the front panel and in its place Yaesu mounted an AM Carrier/Mic Gain control. Block Diagrams of the FT-100B and FTDX100 are shown HERE. By mid 1968 Bail's had begun advertising the FTDX100. At that stage Yaesu had refined their solid state HF transceiver design into a mature product. 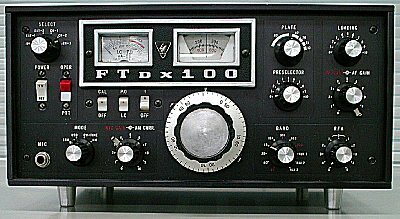 The FTDX100 differed from the FT-100 Mark 2 and the FT-100B mainly in its looks, their circuits were almost identical. The FT-100 series ran in Australia from 1966 to April 1970 when Bail Electronic Services sold their last FTDX100. In October 1970 the first FT-101's arrived in Australia. The FT-100 Mark 2 and FTDX100 shown to the right both belonged to JA1VBN at the time of writing. Above is shown Yaesu Musen's original FTDX100 advertising Brochure.